Who knew we were part of Facebook's feature experiments? How does Facebook decide which of its numerous features eventually get integrated into the site as a whole? A brand-new blog post by Facebook's director of engineering, Andrew "Boz" Bosworth, spills the beans on how tweaks and new updates make it from observation and hypothesis to real-world integration (or Facebook's scrap pile). Turns out Facebook uses a number of methods, including audience segmentation, to determine which features are ultimately worth rolling out to its 955-plus million active users (minus those 83 million fake ones). It's a fascinating read, one that pulls back the curtain around Facebook's "ship early, ship often" mantra just a wee bit more than before. Or, as Bosworth puts it, "When you see such dramatic results from the smallest tweaks, you realize how much opportunity there is to improve things - and we feel a constant sense of urgency to do so." 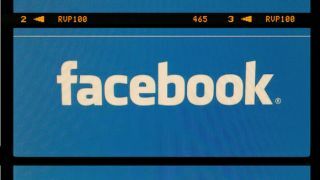 According to Bosworth, Facebook runs "hundreds" of daily tests to help maximize the site experience for its users. A majority of these tests are relatively minor. For example, Bosworth talks about reducing the number of Facebook users shown on the site's "Find Friends" feature by 60 percent but increasing the size of users present (and the button to friend them). In other words, it's not as if huge subsets of Facebook users are seeing a significantly altered experience when they load up the site versus when their friends load up the site. That said, Bosworth does note that, "the odds are good that everyone on Facebook has been, at some time, part of a test." "We know this can be annoying so we do our best to minimize the impact of these tests, but the fact we are willing to incur it at all should make it clear how deeply we believe that they are one of our best opportunities to make the product better," he adds. Key to Facebook's segmentation - which allows the site to test audiences based on random samples of its population, samples based on regions or a variety of other characteristics - is an internal Facebook tool called "Gatekeeper." The digital traffic cop allows Facebook to ensure that different tests don't overlap among the same audiences and, more importantly, to ensure that the results generated by Facebook's armada of different setups give the company statistically significant recommendations - for better or worse. "When a test goes out we look at the data immediately and adapt the products quickly. We do this on a daily basis," Bosworth writes. "This cycle of iteration is the engine of progress and the people who use Facebook are not just the beneficiaries but are also intimately a part of the process."